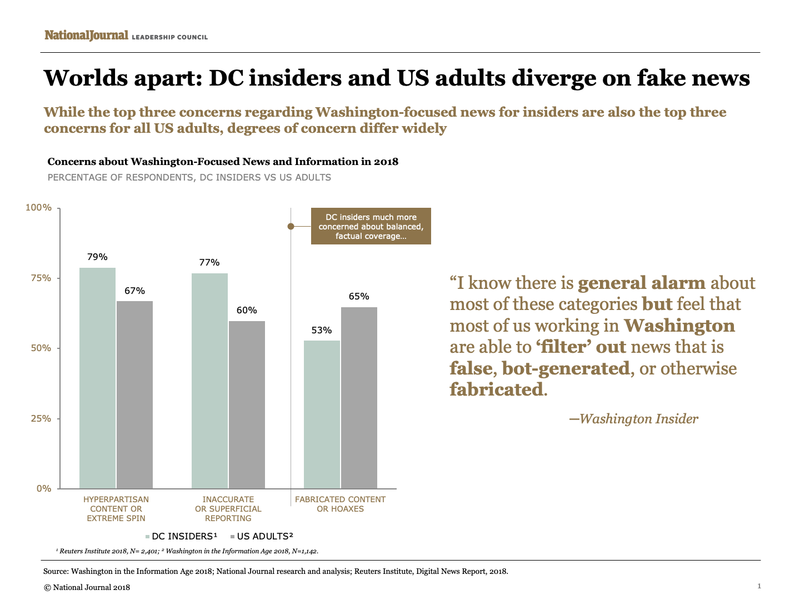 National Journal’s Washington in the Information Age (WIA) research provides an exclusive, in-depth look at how Washington Insiders consume media today, including a look at the sources they trust, their attitudes towards social media, their preferences for different channels and formats, and their consumption behaviors throughout the workday. For more information about obtaining the 2018 report, please contact your Dedicated Advisor or service@nationaljournal.com. The report offers guidance on how your government affairs and communications teams can adapt and tailor their engagement strategies to get ahead of changing trends in Washington.